Hundreds of minicabs to assemble outside TfL Offices on Blackfriars road at 10am on 14 January. 14 January: Hundreds of minicab drivers are expected to “park up” on Blackfriars Road outside Transport for London's (TfL) headquarters today in protest to the introduction last month of regressive congestion charges for minicabs. The protest, called by the Independent Workers Union of Great Britain's (IWGB) United Private Hire Drivers branch (UPHD), will kick off at 10am today (14 January) at TfL's Palestra House, Backfriars Road, SE1 8JZ. Instead of a congestion charge, place a licensing cost levy on private hire operators, based on the frequency of private hire vehicles from their fleet appearing on the congestion zone. 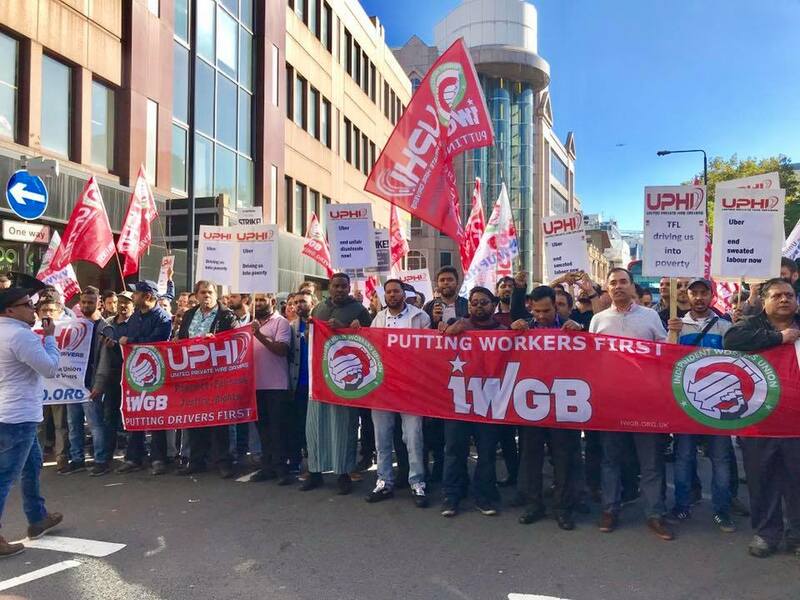 The IWGB's UPHD branch has been campaigning since July against the Mayor of London's and TfL's failure to tackle driver exploitation and their refusal to allow equal representation for minicab drivers in the stakeholder process.